Updated Tuesday June 19, 2018 by NLBA. NLBA Fall baseball season typically runs the first week of September through the end of October, with (1) game during the week and (1) game on Saturday. 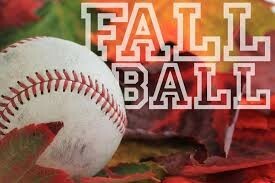 Fall ball is a great way get extra reps for the following spring season. NLBA Fall 2018 Baseball registration is open! Register now!! !